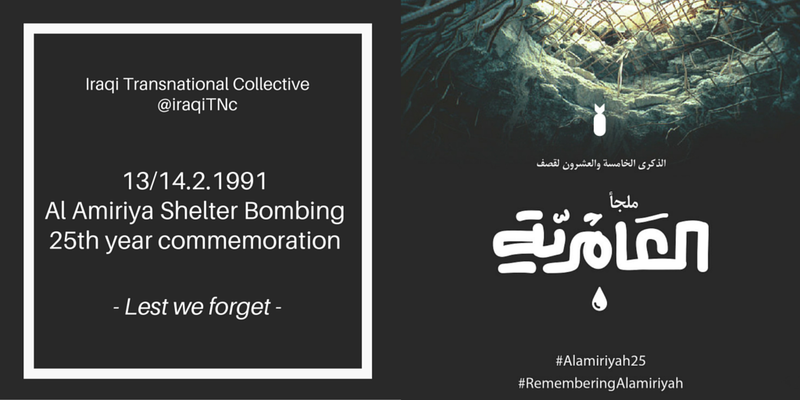 25 years ago today a tragedy took place: The U.S. bombing of the Amiriyah Shleter in Baghdad. To mark this day, and look towards a world where such violence is not possible, we join members of the Iraqi Transnational Collective in spreading the following reflection, art, analysis and action. What happened at Al Amiriyah is part of a decades-long policy which continues to plague Iraq today and is perpetuated by a multitude of forces, from the Iraqi government to regional and international powers as well as militias and organized violent groups, all of whom perpetuate similar narratives about the use of civilians as human shields so as to absolve themselves of responsibility for their destructive and divisive attacks. Notwithstanding the decades of war and death, Iraqi civil society continues to persevere. It is that perseverance, the determination to continue asserting our humanity and demanding our rights in the face of oppression, the display of “strength in the face of fighter jets,” that links the struggles of marginalized communities everywhere, from Palestine to Syria to Baltimore to Iraq, where feminists, labor organizers, environmentalists, and protest movement leaders are building movements and fighting multiple forces of oppression. 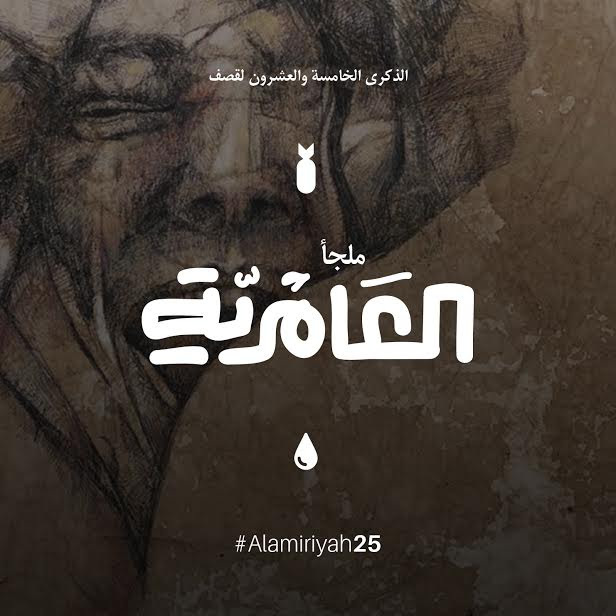 Today, the Iraqi Transnational Collective (ITC), an international grassroots collective of Iraqi activists working towards an equal and just Iraq free of oppression, is commemorating the tragedy of the Amiriyah Shelter on its twenty-fifth anniversary. The ITC views this commemoration as one piece of its broader effort to be in touch with Iraq’s resilient history and ongoing struggles, struggles fought by Iraqis who ask not to be victimized but to be remembered and recognized for their strength through community organizing, collective action, cultural preservation, art, and yearning for a just and better Iraq and world. Want to learn more about Iraqi popular struggle? 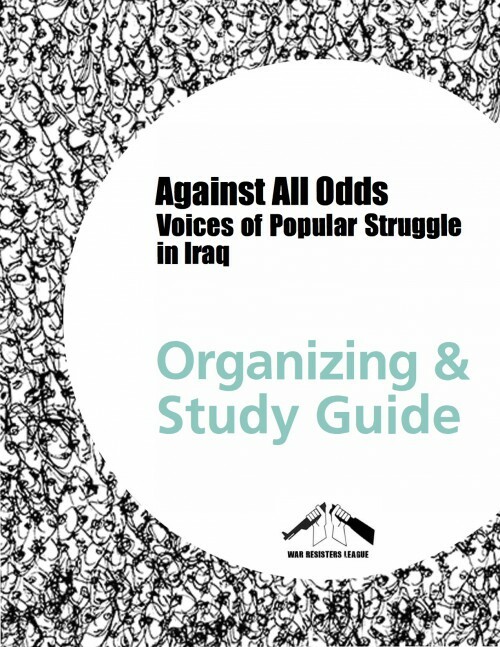 Check out Ali Issa's Against All Odds: Voices of Popular Struggle in Iraq and WRL's complimentary Study and Organizing Guide for popular education workshops to do in your community!